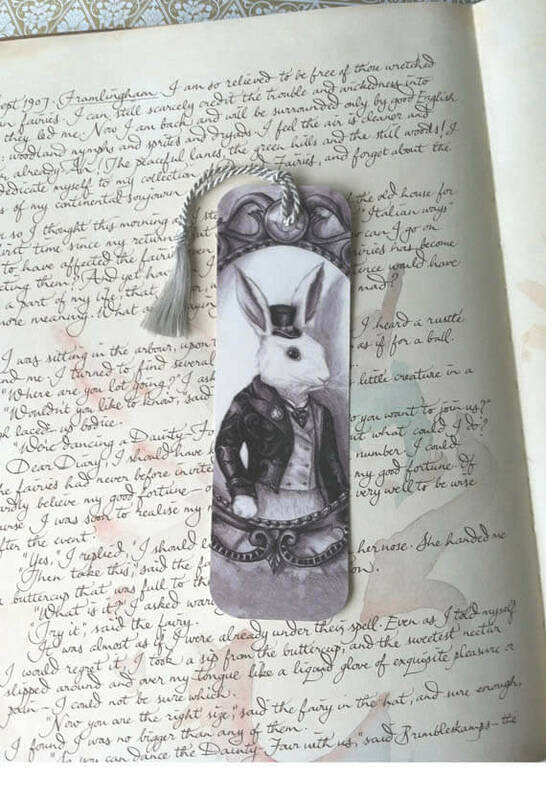 This stunning glossy bookmark captures A Victorian styled White Rabbit. 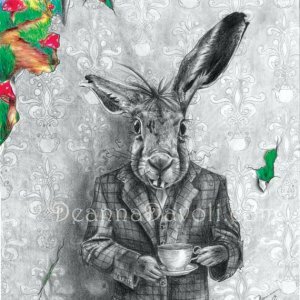 Instead of showing him in the rabbit hole I decided to show him creeping into our world another way….through a painting. 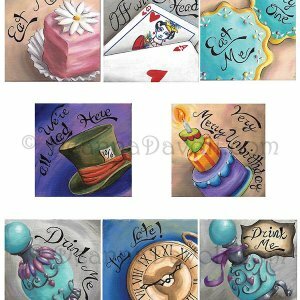 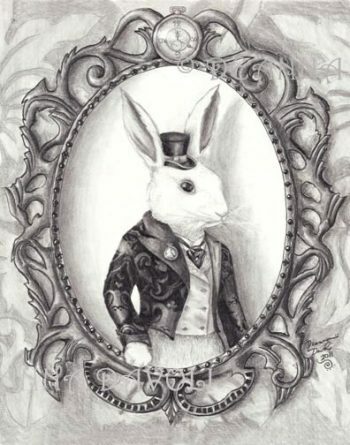 Properly dressed in a suit and top hat, this white rabbit means business, he works for the Queen of Hearts after all.